How do you know if you should be using the Anti-Aging Skin Care Product Regimen? The Anti-Ageing Regimen of skin care products was designed for individuals that are looking to reverse the signs of ageing that are beginning to show up on their skin. The skin care products of the Anti-Ageing Regimen work together to thoroughly cleanse and exfoliate the skin while removing excess oil. They leave the skin feeling clean, soft and revitalised. Progress through the Exfoliating Moisturisers. Beginning with number 1 and working your way up to number 3 gradually to give your skin time to adjust to the glycolic acid. 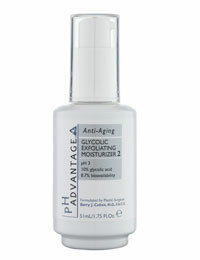 Use Nightly after cleansing and the application of any treatments or serums. 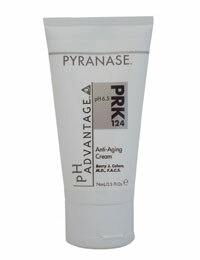 Apply Pyranase over entire face and neck both morning and night after cleansing. Pyranase absorbs quickly and evenly, and makeup can be applied immediately. After cleansing, apply a small amount to face and neck each morning. The pH Advantage range consists of 5 specialist skin regimes, Basic, Acne, Control, Anti-Ageing, Booster. 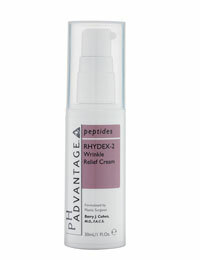 Find out the stockists of the pH Advantage range of advanced cosmeceutical skincare products. 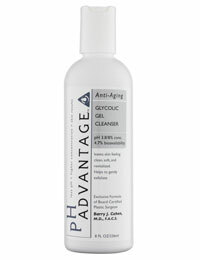 pH Advantage is a cosmeceutical skincare range created cosmetic surgeon and skin expert Dr Barry Cohen.